We now look back with pride over 55 years of experience. And our customers benefit from this experience too. We have been able to learn about and solve a wide range of problems from a number of different bulk material industries. Our expertise in the transport of sensitive foodstuffs, chemical substances or coarse materials primarily benefits our customers. The man who gave our company its name, Hans-Holger Wiese, laid the foundations for the present-day WIESE Förderelemente GmbH company. During its early years, the company developed the component that is at the heart of every WIESE continuous bucket and pendulum bucket conveyor: the WIESE rubber chain. The various developments and products of the first few decades were followed in the early 1990s by a change of strategic direction. We focused on what we do best: continuous bucket and pendulum bucket conveyors for bulk materials of all kinds. Our company's headquarters, both then and now, are in Burgwedel near Hanover. This is where our modern office and production building is based, accommodating our administration, design, sales, service and production departments. 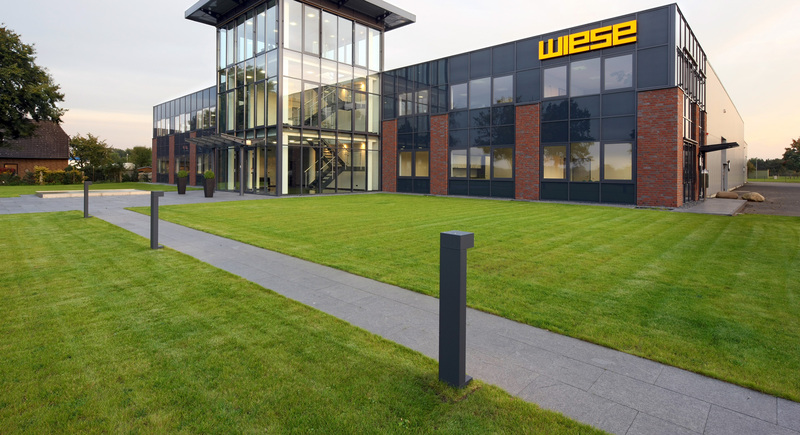 The WIESE rubber chains are produced in Salzwedel, at our factory that was built especially for the purpose in 1999 and which has been expanding constantly ever since. Our well-trained team has many years of professional experience. They are also able to use state-of-the-art technology to create tailored solutions for our customers. For us, customer satisfaction takes priority. WIESE – Your team – With the experience needed for the perfect transport of bulk materials.